We like to challenge clients, working with them to deliver promotions that are impactful, relevant and accountable with the target audience. 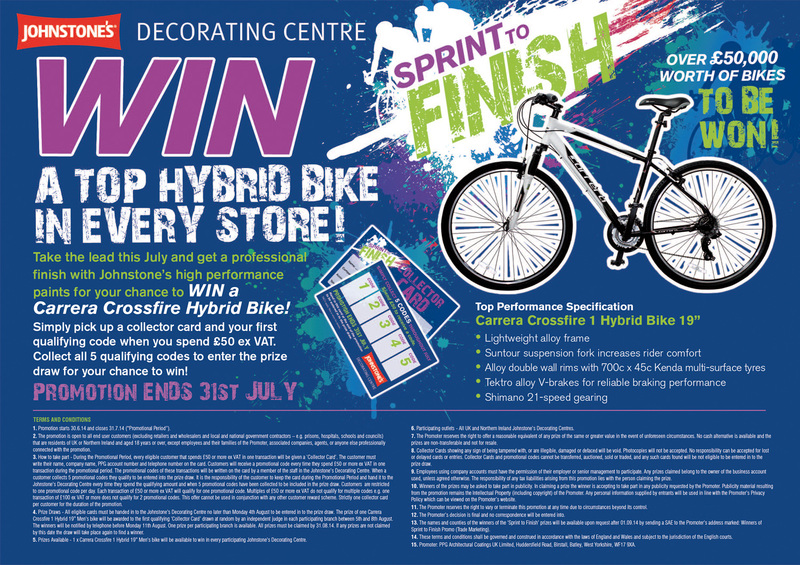 With the first stage of the Tour de France starting in Yorkshire in 2014, our Leeds based client PPG Architectural Coatings wanted to capitalise on this key event with a promotion aimed at decorators and builders. The objective of the campaign was to incentivise repeat purchase of any Johnstone’s, Leyland or Fat Hog products from their national network of over 200 Johnstone’s Decorating Centres. 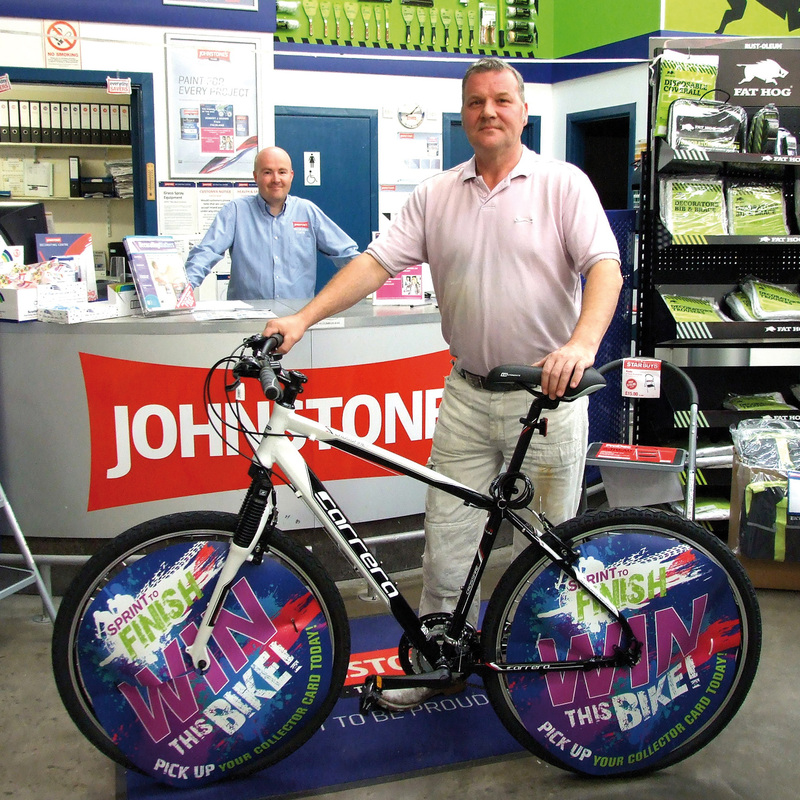 Fusion devised a campaign ‘SPRINT TO FINISH WIN’ with an incentive to win a Carrera Crossfire 1 hybrid bike in every store. 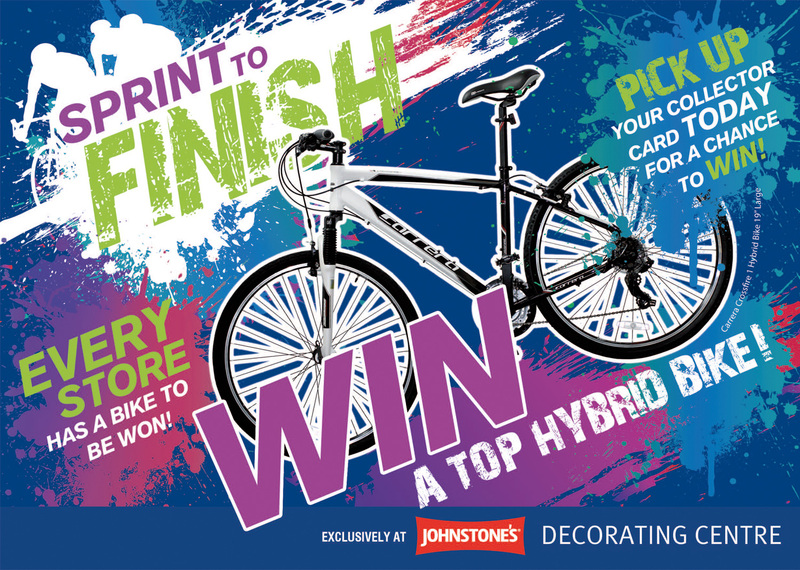 The promotion was based on a collector card scheme where customers simply had to collect 5 ‘qualifying codes’ to enter the prize draw for the chance to win the hybrid bike – on display in-store. In addition prize draw winners from each store were featured on social media and in a winners gallery poster displayed in-store after the promotion. The campaign was well received with strong customer participation resulting in increased sales for the campaign period and new customer acquisition.